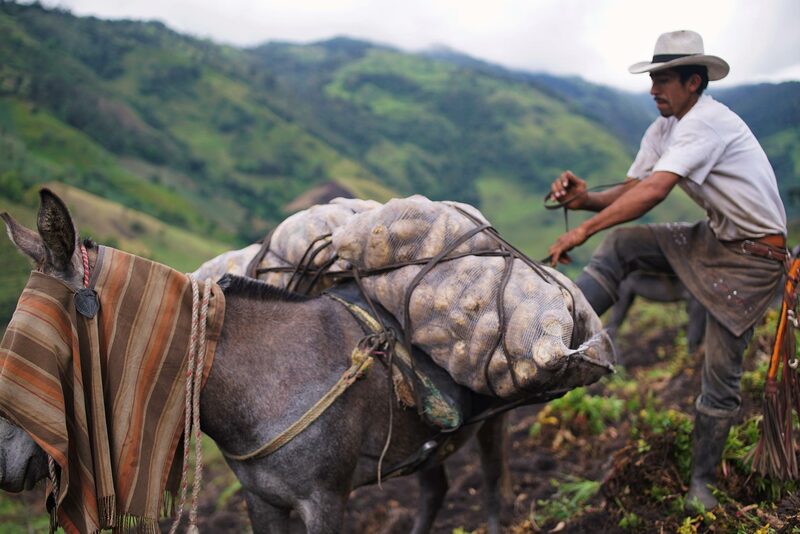 Colombia's soil has an abundant supply of natural ressources. Not only does it boast the largest charcoal reserves of Latin America, but it also has considerable reserves of gold, nickel, copper, silver, platina and emerald. President Santos in his 2010 inaugural speech stated that mining would be one of the country's five locomotives driving Colombia's growth. 2016 – Right to the Consulta Popular? After over half a century of armed conflicts between the state and guerilla movements (including FARC), Colombia’s economy is now prospering. The country is one of the fastest growing economies in Latin America. Apart from the available natural resources, its fast growth is also the result of the government’s economic policy. President Santos’ National Development Plan for 2014-2018 focuses on five ‘locomotives’, viz. infrastructure, housing, mining and energy, agro-industry and innovation. One major objective of his development plan is to attract foreign investment in order to develop large-scale agricultural, mining and energy projects. 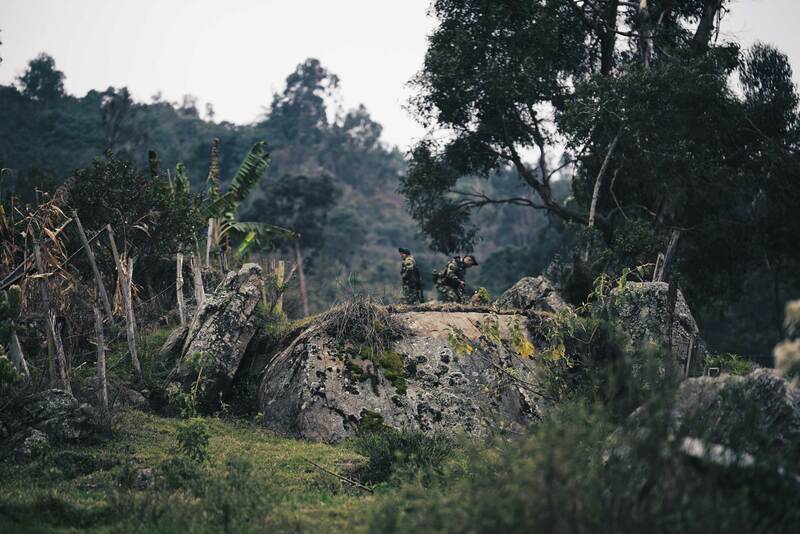 Unfortunately, the arrival of domestic companies as well as foreign multinationals establishing huge projects has given rise to renewed conflicts within the Colombian borders. 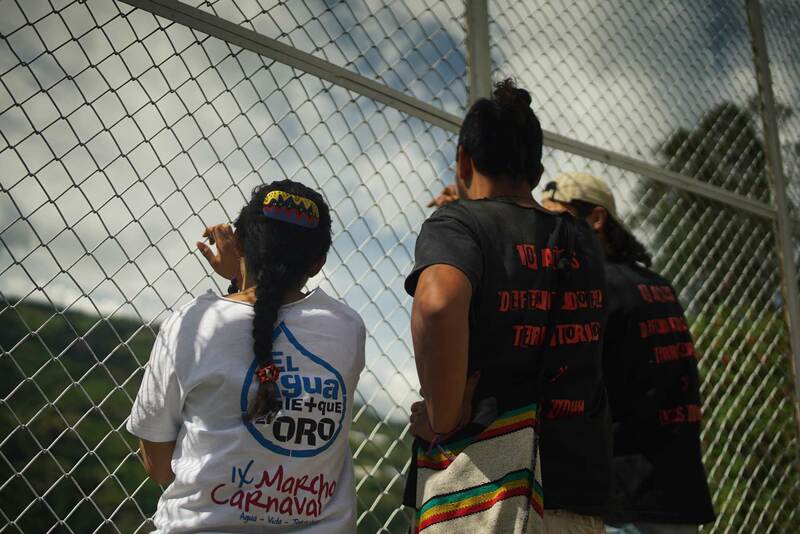 Local indigenous groups and campesinos are being expelled from their land to make room for various mega-projects. Colombia is the world’s second in terms of the most internally displaced people, yet this problem persists due to the government’s investment-friendly policy towards investors who develop mega-projects for which huge stretches of land are claimed. Indeed, the Colombian government sees the royalties from the mining sector as one of its chief resources to finance the post-conflict era. However, the richest supplies of natural resources are found in the country’s poorest and most vulnerable regions, which are focal points of the rural development plans in partial agreements. Right there, the government granted a substantial number of mining licences to multinational enterprises, thus often creating serious social unrest on the local level. Besides, the development plan has a considerable impact on the country’s ecosystems and biodiversity. A UNIDO (UN Industrial Development Organisation) report reveals Colombia as one of the world’s biggest polluters when the use of mercury in traditional mining is concerned. On an annual basis, between 50 and 100 tons of mercury are spilled in the gold extraction process. Gold and silver played a crucial role throughout Colombia’s history. Some local peoples including the Muisca, Quibaya and Tarona are believed to have had an economy partly based on gold. Even before the Spanish invasion, there already were communities with full-time miners. The Buriticá site in the mountains of northern Antioquia is the most renowned in this respect. From there, part of the surplus gold was traded to the Quimbaya and the Muisca, whereas the major share was meant for the population further north, i.e the Dabeida. When the Spaniards disembarked in 1499, gold was what interested the colonizer. Cartagena became the heart of an economy centred around gold mines. Thus, Colombia grew to become the most important gold producer of the 19th century. Gold production between 1537 and 1886 is estimated at $ 639 000 000 next to a huge amount of silver. Three large regions in Colombia have gold supplies, viz. the Andes region, the Sierra Nevada de Santa Maria Mountains and the Guyana Highlands. The Andes region is home to a large number of the country’s major cities and can be divided into three cordilleras: central, eastern and western. Much of the gold extracted in previous centuries came from this region, especially the Department of Antioquia. Up to the mid-twentieth century, Colombia was one of the world’s major gold exporters. After that, mining declined somewhat but there has been a renewed interest in gold mining recently. In the last ten years, Colombia has attracted a rising number of foreign investors. They took advantage of mining legislation adopted and facilitated by the governments led by Andrés Pastrana (1998-2002) and Álvaro Uribe (2002-2010). 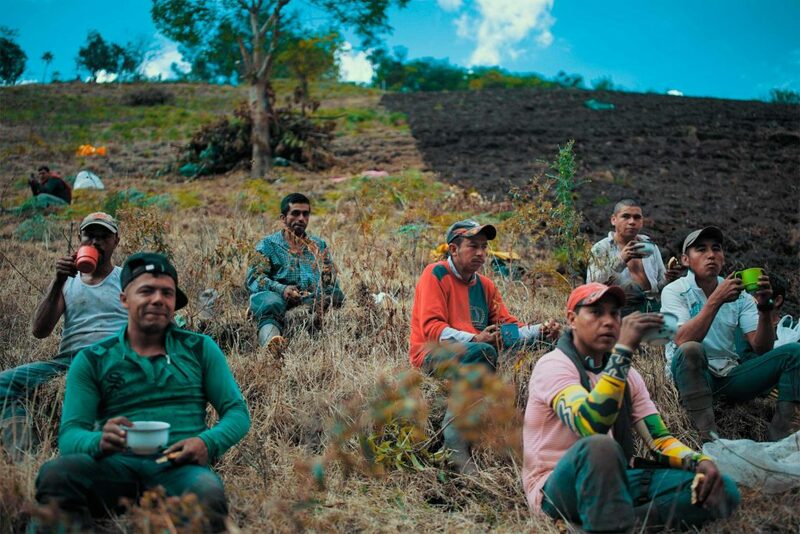 Apart from the large projects, many individual entrepreneurs operate in the Colombian mining sector. The 2011-2012 Mining Census claims that approx. 314,000 people are engaged in small-scale and middle-scale mining. The majority work in traditional mining activities, which in its most rudimentary form means panning for gold in river sands. In addition, there is plenty of illegal mining, which often results in crime and violence. For the last few years the mining sector has been expanding. 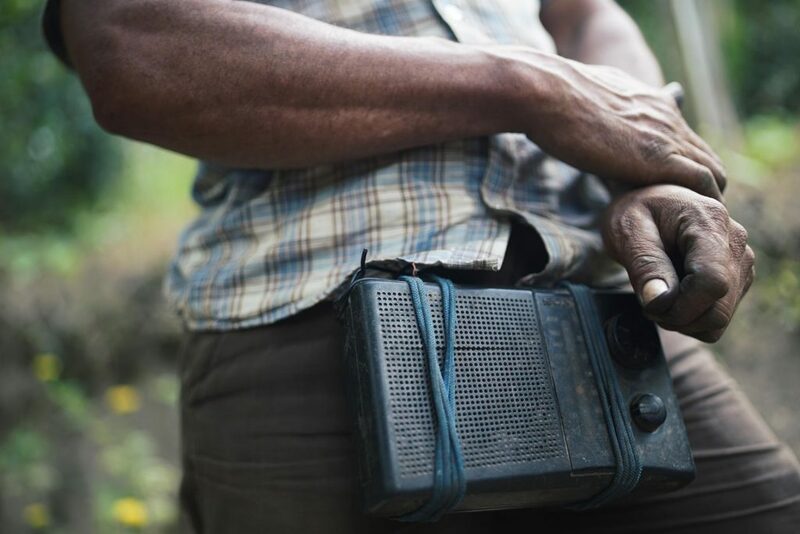 CETEC, an organization of small peasant communities in Cali, made a calculation and concluded that since 1990 there has been a tenfold increase in mining profits: from 2.5 to over 25 billion dollars annually. This amount doubled between 2010 and 2014. The increase in gold extracted shows a similar curve. In 2015, the mining sector accounted for 2.3% of Colombia’s GDP and ensured a 18.8% share in the country’s exports and 17% of foreign direct investment. Millions of kilograms of gold have been discovered in Colombia since 2000. One of the largest explorations is the La Colosa mining project of AngloGoldAshanti, the company that appears so eager to start mining in the surroundings of Tolima. La Colosa is the name of the mining project planned by the South African company AngloGold Ashanti (AGA) in Cajamarca, city in the department of Tolima, where it is estimated that the land has 680,000 kg of gold. Since 1999, the company has carried out exploration there and expects to start extracting gold in 2023. This mine would be the largest open-pit gold mine in the northern Andes and the third largest in Latin America after Yanacocha in Peru and La Escondida in Chile. In addition, La Colosa is only part of a much larger mining district plan, a region in which several geologically linked deposits are exploited. If the mining project is carried out effectively, it will have a great impact on cities and nature in the wide area, and Cajamarca faces the risk of disappearing from the map. The mining district is planned in an area where there is a natural reserve with rich biodiversity and resurface water sources (white churros), which provide the wide area with ​​water. The region is also very fertile and is considered one of the main agricultural regions of Colombia. “This case can be seen as an emblem in Colombia because of its size and the very advanced state of project development”. 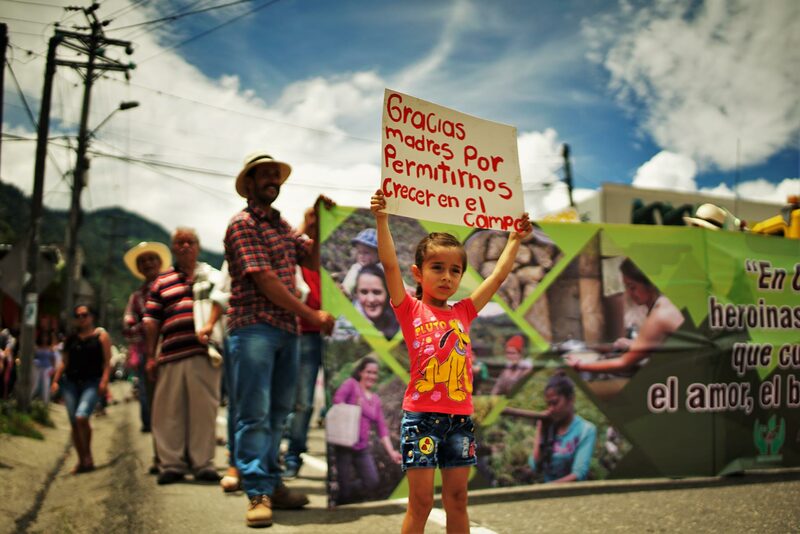 Journalists, local groups of citizens, collectives, independent citizens, students and academics ask critical questions about the project and are convinced of the great impact that the mine would have on the region (Tolima and parts of Quindío). However, among the local population opinions differ. There is a great lack of knowledge among the local population, largely due to the lack of information and the promises of AGA. AGA affirms that the opening of the mine will provide jobs in a city where there is a lot of poverty. For example, AGA itself established a civil society organization that is in favor of mining: “Yes to the mine.” Some key figures in Cajamarca such as the mayor and a school director are also in favor of the arrival of the mine and gladly accept gifts from the company. 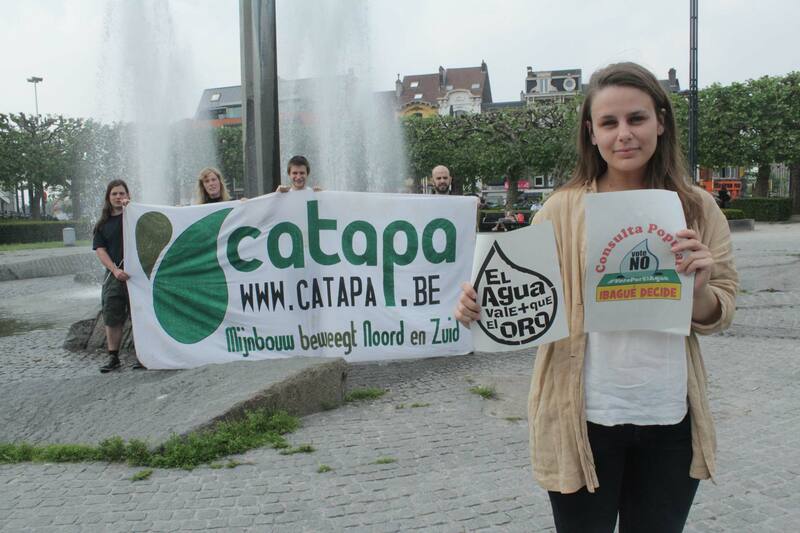 Local groups, including CATAPA’s partner organizations, try to inform the population as much as possible about the impact that the mine will bring, support local alternatives and organize protest marches. During 2016, there was a plan to organize a “popular consultation” in Cajamarca. Eventually it was done, although it was a bit later than anticipated (see below). Despite the ‘Locomotora Minera’ development plan of the Colombian government to promote large-scale mining operations through a favorable climate for investment, the project has already suffered a considerable delay. AGA had the intention to finish the exploration phase in 2015 and start extracting in 2016. However, the social opposition and the most recent vote against the project during the referendum managed to exert temporary pressure and delays. Nevertheless, with 69% of the mining concessions in Cajamarca on its possession, AGA still seems capable of accomplishing its plans. 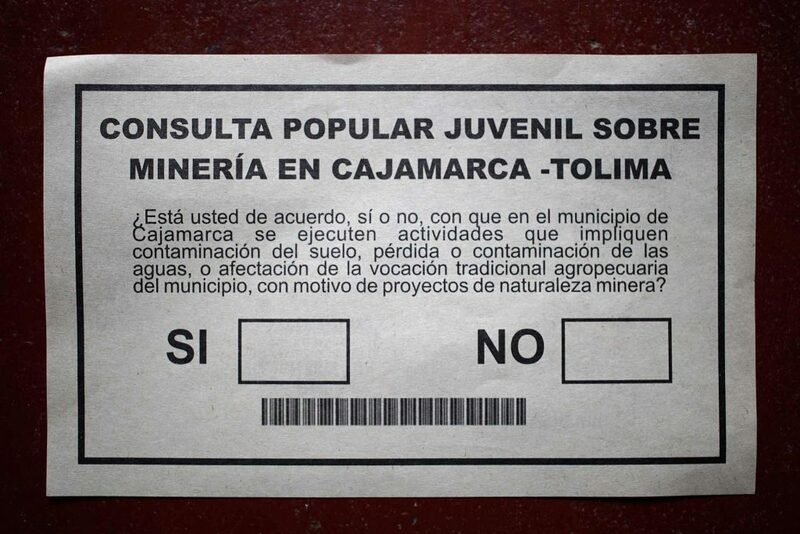 After a year of obstacles, the first popular consultation on citizens’ initiative was held in Cajamarca to decide if the mining project was allowed or rejected (see below). An overwhelming 97% of the votes said “no” to mining in March 2017. AGA is the third largest company in the field of gold mining. The company is headquartered in South Africa, where it also has six gold mines (in 2013, 37% of AGA gold production was in South Africa). Due to serious labor conflicts in the mines and many other problems, it is increasingly difficult for AGA to keep extracting gold in South Africa. On its search for new gold reserves, AGA is now exploring in Colombia, a country which not only has a large amount of minerals but where the government is also strongly committed to creating a business environment (‘Locomotora Minera’) favorable for multinational mining companies. In the words of former AGA CEO Mark Cutifani “… therefore Colombia is one of the three major priorities of the company” (Sept. 2012). Taking into account their expectations in Colombia, AGA invests the largest part of its budget (39%) in the exploration of the area. Only in 2007 it became evident to the Colombian population that AGA was present in Colombia and that it had already been exploring the country for eight years in search for gold. AGA formally presented its intention to build the La Colosa project after President Uribe announced that a large amount of gold was to be found in Cajamarca. Prior to 2007, AGA was operating under the name of Sociedad Kedhada SA., which allowed them to maintain a low profile and acquire a large number of mining concessions. 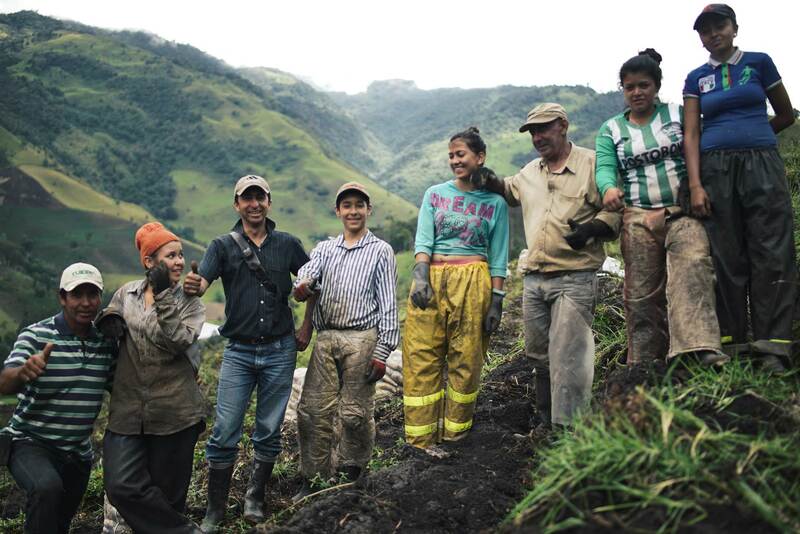 Another tactic of the AGA to cover its strong presence in Colombia and avoid a great potential for environmental and labor responsibility in the future is the creation of several subsidiaries in Colombia. Within Colombia, La Colosa project is extremely important for AGA. At a conference AGA stated that “La Colosa is a great, world-class gold resource and it is getting bigger […] and it’s just the tip of the iceberg given a lot of objectives in Colombia.” However, few Colombians realize the enormous size that the project could actually have. La Colosa mining project itself would have an impact on several other neighbouring cities and municipalities of Tolima, where there are no gold reserves. Apart from an open pit mine that causes a huge crater in the landscape, the extracted rock must be deposited in another place and the toxic residues that remain after the chemical process to “filter” gold from the rock must be stored in an installation of Tailings Storage. Since it is one of the largest mines in the world, rock waste and tailings storage facilities will also be of considerable size. The company considered taking the extracted rock to the Piedras plain (96 kilometers from Cajamarca) to process it and store the toxic waste there. In a local referendum in 2013, 99% of the local population said no to the AGA plans in that region. AGA wants to go beyond La Colosa and considers this mining project as part of a future larger mining district. The company announced these intentions in 2013, while an investment report for 2010 spoke of a 60,000-hectare mining district. A map of the year 2013 from the newspaper El Nuevo Día shows a mining district of 200,000 hectares, which includes a large part of the páramos between Cajamarca and Roncesvalles. Although the unfavorable impact of development models such as this is known, there is still great lack of knowledge among the local population about the consequences of mining and the ecological and social impact that this brings. A project of this massive scale also implies a great impact at an ecological and social level. 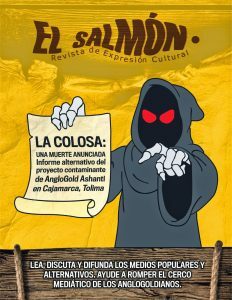 The file “La Colosa: an announced death” makes a forecast of the planned impact of the rock waste, the tailings storage facility, the water and electricity consumption of the open pit mine. The authors argue that it is likely that the mine will produce 100 million tonnes of rock waste during its lifetime. And this is not only a very large volume of waste to be dumped elsewhere. Much more problematic is that these rock residues, due to the high amount of metals they contain, will cause the contamination of the surface and groundwater (“acid mine drainage”). This contamination will also remain after the closure of the mine. The topography does not allow fo the construction of the tailings storage facility near the open pit mine, so this installation would be built in a flatter area about 100 kilometers from Cajamarca. The tailings storage facility of La Colosa project threatens to be the largest in the world. According to the figures of the company, the dam would have a capacity of 1,420 million tons and a height of 250 meters. Due to its exceptional height, the potential risks rise. The dam is a very important threat to the local population and the proportion of the problems and errors of such dam is the highest in the world. The paramos are a unique ecosystem in the northern Andes that is located in the mountains just below the snow line. The páramos are very valuable because they serve as a reservoir of water ensuring moisture and fertility of the lower areas. 50 hectares of La Colosa project are located in the páramos area. Based on the presentations that AGA gives to its investors, it seems that AGA has carried out drilling in the area where the páramos start. Recently, in 2016, however, the Supreme Court of Colombia banned all mining activities in the highlands (páramos). According to the court, the extraction of oil and gold in the highlands causes too much damage to the ecosystem, which is essential for the water supply of the cities below, such as Bogotá. La Colosa also threatens the amount of water available for consumption and agriculture since mining consumes a large amount of water. It is expected that under the influence of climate change there will be a shortage of water in the department of Tolima. La Colosa project would only make such situation worse. It is expected that the electricity consumption of the mine would be greater than the consumption of all the inhabitants of the department of Tolima together. It seems that the massive hydrological projects that are carried out throughout Colombia and also in Tolima are mainly destined to provide electricity for projects such as La Colosa. These hydrological projects, in turn, have a great impact on natural ecosystems. 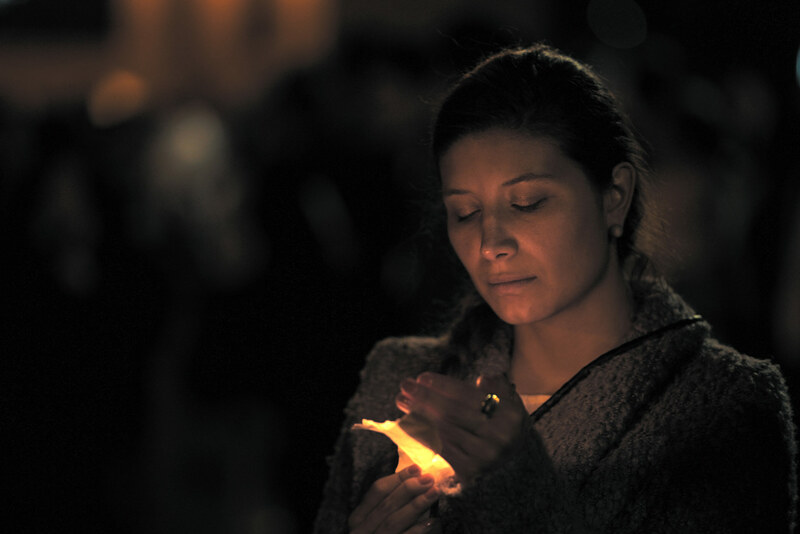 Today the inhabitants of Cajamarca can already feel the impact of mining in their daily life. The employment created by the company and the projects executed under the guise of corporate social responsibility divide the local community. Those who receive direct support from the company are also expected to support the company. In recent years, a sharp disagreement has arisen in society between those in favor and those against the mine. At the local political level, 9 of the 11 councilors consider the mine as inevitable. Although La Colosa is still in the exploration phase, the presence of the mining company has an important impact on the social and economic situation in Cajamarca. An example is the rental price in this city, which has increased fivefold due to the arrival of large-scale projects in the area, including the planned project La Colosa. In addition, the owners prefer to rent to workers who come from elsewhere outside of Cajamarca instead of families with children and single mothers (Colombia solidary project, 88). The price of food has also increased. Since the mining company announced its ambition to build the La Colosa project in 2007, the local population has begun to organize. People go out on the streets to protest against the arrival of the mine, denounce the irregularities of the company and defend alternative visions for the region. In Cajamarca, different organizations emerged. The youth collective COSAJUCA, an organization that promotes ecotourism in the region as an alternative development project for the region; and several other agricultural organizations that support small-scale agriculture (for example, Apacra and UCAT). In 2010, the Environmental and Defense of Life Committee also emerged, bringing together various organizations, citizen initiatives, groups, environmental groups, students, academics and independent citizens. Since then, this committee has only become stronger and has led to the creation of new committees in several other municipalities. Academic commitment is also important through the movements that emerged within the University of Tolima and UniQuindio. Since 2009, citizens and social movements protest in several ways against the arrival of the mine: through a public hearing, a collective legal action against the environmental and mining authorities of the Colombian State, through a series of large protest marches called “Carnival Marches”, public debates, municipal meetings and local referendums. Also at the political level there are voices asking to abandon mining concessions, such as the mayor of Ibagué and some parliamentarians who gave visibility to the case in parliament. One of the main events of the series of protest actions was the local referendum of Piedras in July 2013, where the population was asked if they gave approval to the company for its mining activities in the municipality. 99% voted against the presence of the company in the territory. It was the first time that a local referendum was held on mining activity and it received much attention from the national media. However, although the referendum is a legally binding mechanism according to the Colombian constitution, the Colombian court questioned the legality of the referendum.. In 2016, local movements in Cajamarca also planned to organize such a local referendum with the hope to further delay the project and finally stopping it. Finally, the referendum was held on March 26, 2017. According to the Center for Legal and Social Studies (Dejusticia), the result of the consultation is to be binding. The law clearly states that if a third or more of the population votes, the result must be accepted and implemented. Cajamarca has 16,312 inhabitants who have the right to vote. This means that 5,438 inhabitants of Cajamarca must vote for the referendum to be valid. If they vote against mining, the council and the mayor must take the necessary measures to prohibit these practices. The result of the referendum was overwhelming. 97.9 % of the votes were against mining. 6,296 people went to vote of which 6,165 voted against and 76 in favor of mining, with the rest of the votes being null and abstentions. Whether or not this means that there will not be mining in Cajamarca it is still uncertain. The Deputy Minister of Mining, Carlos Cante, declared that the binding nature of the consultation is not clear. He believes that a political decision could guarantee that investors can continue legally. The Minister of Mining, Germán Arce, also declares that the referendum does not apply to AngloGold Ashanti, because the decision is not valid for the agreements that had already been approved. The company concluded a contract with the National Mining Agency before the referendum, so it can therefore continue with its plans and investments, as it is an acquired the right to do so. In this case, the exploration can not be stopped. Only environmental authorities such as the National Environmental Agency (ANLA) can still prohibit use. Valentina Camacho Environmental Committee of Cajamarca suspects that the government will not respect the outcome of the referendum for which the struggle will continue at the legal level. 2016 - Right to the Consulta Popular? In 2003, the South African mining company AngloGold Ashanti arrived in Colombia. For four years they searched for gold and bought mining concessions all across the country. In 2007, the company finally found what it was hoping for: gigantic gold reserves in the grounds of the Cajamarca municipality in the department Tolima. The La Colosa project immediately caused national and international outrage, given that the project would lead to deforestation, usage of enormous quantities of water, air pollution and groundwater and social tensions. Moreover, the Páramos would become endangered, a unique piece of nature from which the main rivers of Colombia spring. Cajamarca is not only known for its fertile agricultural lands, which supply the entire country, but also because it is the place which houses one of the most important ecosystems. Because of this, a project of this kind would mean a complete disaster. 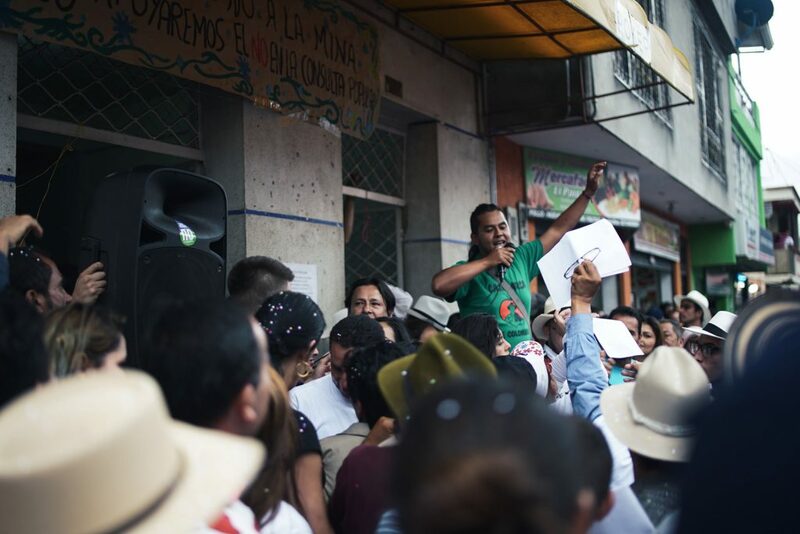 Even though Cajamarca is the center of the mining project, it was the referendum in Piedras what was seen as a milestone in the resistance against large-scale mining. This referendum – which was set up in response to the possibility of a dam being built by AngloGold Ashanti in their territory – brought 60% of the population to vote, leading to an astonishing result of 99% of “No” votes. This result was a crucial setback for the mining company. Moreover, it inspired many other communities, among others Tauramena, Cabrena and Cajamarca, to resist mining plans through the organisation of a consulta popular. This constitutional mechanism is based on the principles of territorial autonomy and decentralisation of decision-making. According to Article 33 of the Constitution on the operation of municipalities, a municipality is even obliged to hold a consulta popular when a mining project would imply a significant change in the usage of the soil of the municipality. The Cajamarcunos succeeded in gathering 5,000 signatures, obliging the municipality council to organise a vote on a possible referendum. This was finally planned for 26th March. However, this positive development was complicated by two factors, the first being that the referendum was planned for 26th March. In this short period, it was difficult for the local community to gather funds in time to conduct awareness raising campaigns on the negative impact of mining. Furthermore, the election for the new mayor was planned for 12th March. For this reason, campaigning against the mining projects was not permitted, as it was feared that the two different campaigns would cause confusion among the population. The second factor is that the Colombian president Santos is a big supporter of the mining sector. He sees this as a crucial part of his plans for the development of the country. As a result of this, various decrees have been issued which modified certain laws that undermine local decision-making. Just before the consulta popular in Piedras, the Santos administration issued a decree which argued that local governments only have authority over the use of topsoil, and not over the use of subsoil ground. In other words, municipalities do not have the authority to prohibit mining in their area as the sub-surface ground belongs to the State. Despite these setbacks, the referendum in Piedras was held. 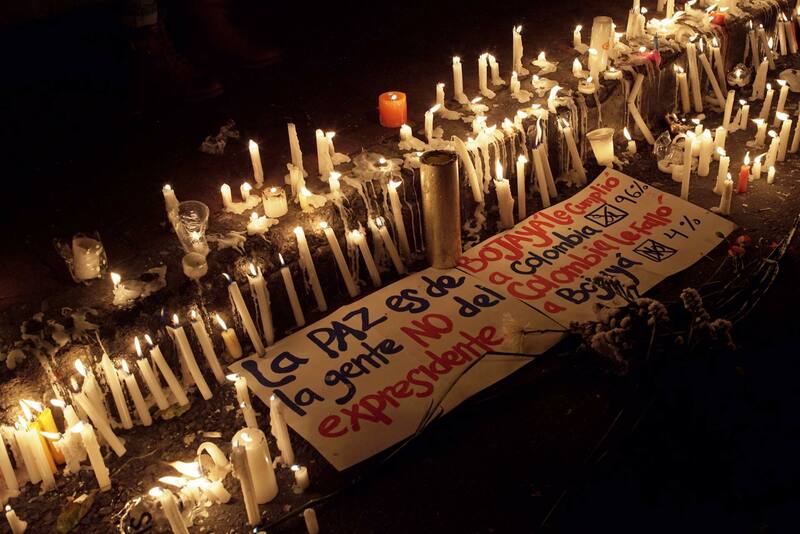 This gives hope to the inhabitants of Cajamarca to keep fighting: ¡sí a la vida, no a la Colosa! Cajamarca, where the mining project La Colosa is planned, is a town of the 6th category. This means that the Concejo Muncipal (town council) will come together four times a year. Those meetings of the Concejo consist of an avarage of 18 sessions. The concejales (councillors) are elected directly by the Cajamarcunos and monitor the policies of the mayor. In addition, the concejales will decide if there will be a Consulta Popular (referendum) in Cajamarca or not. The mayor of the town, William Poveda, firmly supports mining, but does not hold the right to decide directly about the consulta popular. The expectation is that the council wil vote in favor of the referendum since six of the eleven councillors plan to vote in favor of it. During the session on the 12th of August, Jorge Parra joined the meeting. 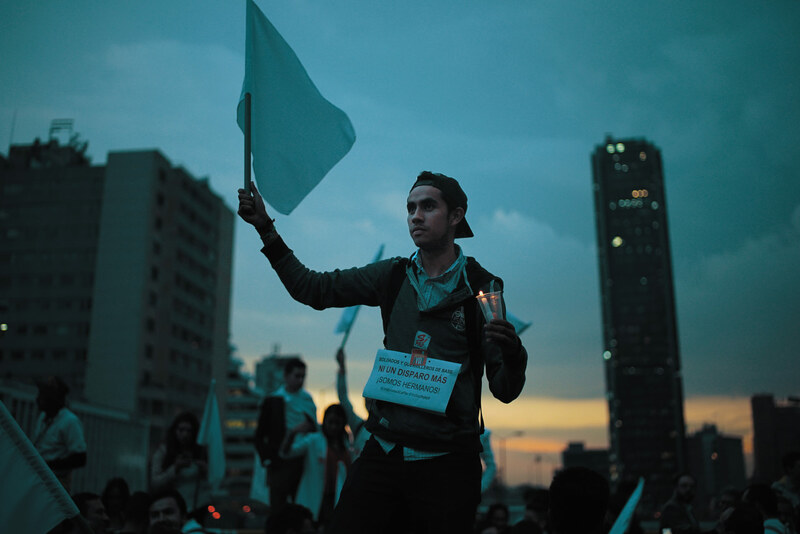 Parra works for the Defensoria del Pueblo, a national control body which protects the rights of the Colombian citizens. He was determined to prove that the Consulta Popular is absolutely legal. First, Parra wanted to say something about the (dead)threats with which organisations like COSAJUCA have to deal lately. The reason for this is evident, according to Parra: the organisations that support the Consulta Popular are constantly stigmatized. In the previous session, the members of COSAJUCA were called ‘environment terrorists’ by the pro-miner councillors. 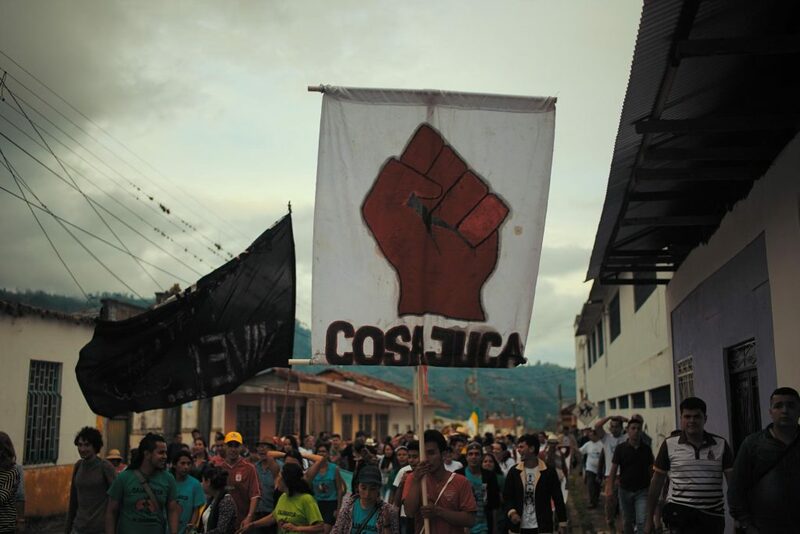 Another argument often used is that organisations as COSAJUCA stand against the development of the country. These arguments are tendentious and, therefore, worthless. According to Parra, the arguments create a superficially and dangerous debate that leads to the previous mentioned threats. That is why he pleads for a debate with correct arguments. His goal during the session is to make clear, by using legal arguments, why the consulta popular is absolutely legal. A referendum is the right of every citizen to complain about possible excesses of national politics. It is an absolutely legal instrument that gives citizens the right of controlling the matters that affect or threaten them. The Constitutional Court says that if national politics implement drastic measures that affect the territory, people can rely on their right of this type of citizen participation. Decisions that affect the environment need to be submitted to the citizens. Thus, the people have the right to public participation in cases of serious disruption of the environment. All citizens have the right to a healthy live. If this is threatened, they will have the right to public participation. When the city council is going to change the usage of the soil drastically, it is required for them to start a democratic debate. There even is a law that literally says that if mining activities will change the usage of the soil, which will modify the traditional activities of the local inhabitants, there should be a plebiscite. Incorrect: This was the case before the Constitution of 1991. At that moment, the raw materials where exclusively property of the ‘nation’ and the ‘nation’ is exclusively represented by the national government. After the Constitution of 1991 however, the raw materials became property of the ‘state’ and the ‘state’ is represented by both national government and regional governments. 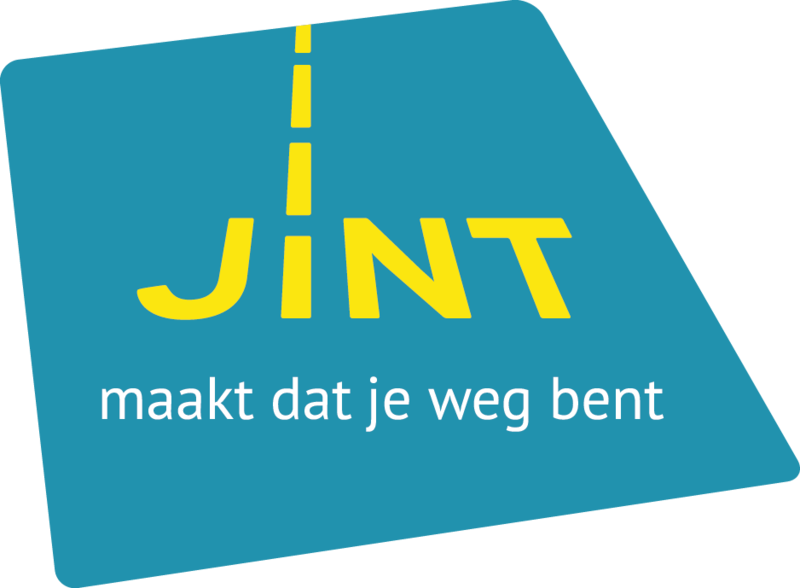 Incorrect: With the referendum people can give their opinion about the project. The mayor will have to defend this standpoint at the coordination body between the National government and the Constitutional Court. Incorrect: In no way is this law of the código minero able to obstruct a popular consultation about drastic changes of the usage of the soil. Article 37 of Law 685 of the código minero will never be able to veto article 37 of Law 685. 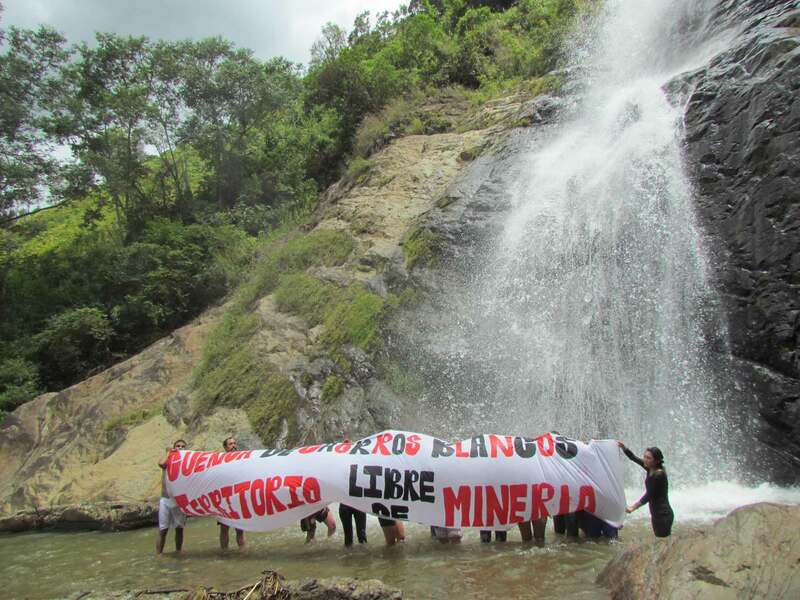 The arguments of mining supporters in the concejo muncipal are not worth mentioning. Firstly because they are not taking a statement and, secondly, because when they do they employ unprofessional arguments. According to Robinson (from COSAJUCA) the bad quality of the arguments has been like this during the whole month. All arguments are tendentious or untrue. Mining supporters have clearly no knowledge of the case, according to Robinson. The councillors mainly asked questions to the specialist during the session of August 12th. The answers are summarized in the points described above. The next and second-to-last session will take place on Friday 19th of August. There will be a few lawyers present at the session. On Sunday 21st, there will be a Cabildo Abierto in the town hall. This special meeting is held on request of the citizens (Comité Ambiental y Campesino and COSAJUCA). It is agreed with the Comité and COSAJUCA that each participant will have 3 to 5 minutes to speak. Everyone is allowed to apply to give a speech. Also the mayor of Ibagué will present his support for the Consulta in Cajamarca! The decision about the consulta popular will be taken by the concejo muncipal on the last session on August 30th. First, a geologist, an economist, a lawyer and the mayor of Ibagué will speak. 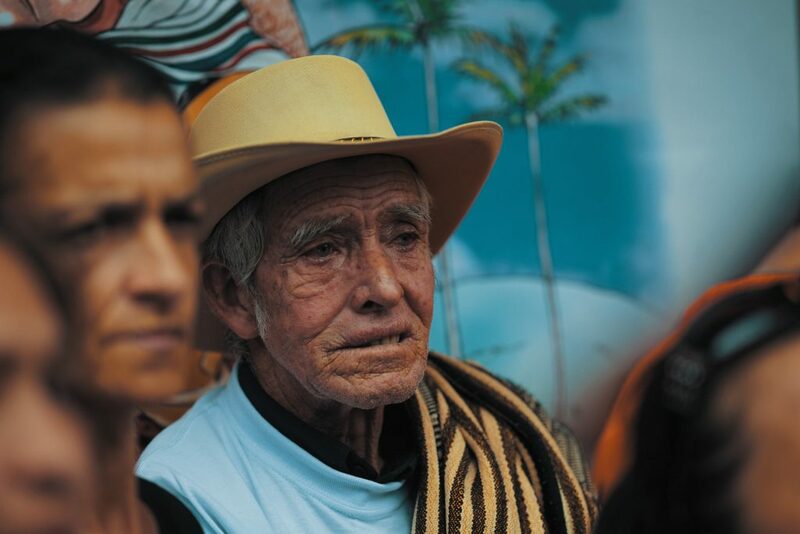 COSAJUCA is organising a Festival of the Campesino on the same day on the main square. There will also be a marcha/desfile. “On the victory!” If the concejo votes in favor of the consulta popular, the Administrative Tribunal of Tolima will examine the constitutionality of the question posed to the Cajamarcunos. If they also agree, the campaign for the consulta popular will start in Cajamarca. If everything goes according to plan, the consulta popular will be held somewhere at the end of November or the beginning of December. Great news from Ibagué! The Administrative Tribunal of Tolima has approved the consulta popular for Ibagué. Therefore, the consulta in Ibagué will take place on October 2nd. De campaign will start on August 19th. CATAPA and COSAJUCA are present. A crowdfunding action has been started to raise more awareness about the consulta popular in Ibagué.